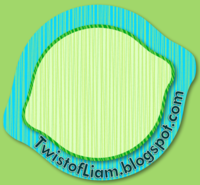 Teaching with a Twist of Liam: The Daily 5...any input? That's it! I have made up my mind and I can't begin to tell you all how excited I am! My girlfriend was given "The Daily Five" as a gift last year and I have decided to implement most of the ideas it contains. I teach three different English classes and I am going to pilot it with the one I also teach Hauora to (loosely translated to Health in the North American curriculum). This class is most likely to forgive any struggles that are bound to arise. Once it is operational, I can then take it to my other classes. I'm excited about the ideas that The Sisters put forth so I look forward to seeing how this works out for me. But here's my hesitation: I like to weigh big decisions like this out before I commit. It's not that I'm afraid of failure...I just don't like cleaning up all that mess. So, have you had any experience working with the Daily 5? If you have, do you have any secrets that might make this endeavour a little less painful? Please share! "Clean-up in aisle 3, please..."
Start slow. Maybe just start with read to self and do all the "stuff" that comes with it. Then when your kiddos are comfy with that then move on to read to someone and so on. The program is great but it's basically just good teaching by reading your blog I bet you already do most of it, but in a different way. I hope that helps! I have not used it, but have heard only great things about it. I said I would put it on my summer to be read pile but still have not done so. :/ I'll be reading to find out how it went for you. I can't really tell if I "do the Daily 5" or not. I love the book and the ideas behind it. I've just found that for me it works better to have them doing the same things at the same time. Basically, they ALL start the day with read to self. Then in the afternoon I do a word-study minilesson followed by them all doing Working With Words, Then I do a reading minilesson and they all Read to Someone. I do use all 5 components and they may be working on different things within that time, but for the most part it's not a free for all. Go slow and use it as a resource vs a script. Keep us posted. Thanks, Jess. Slow is definitely the route I plan to take. Ms.M, I will keep the blog up to date as the project rolls along. Littlest Learners, thanks for the advice and thanks for joining! I get what you mean about having everyone do the same thing at the same time - something I will have to think about. Hey, you've got 9 followers already! We'll have to check in with each other over the course of the year to see how it's going!